I received excellent pre and after purchase customer service from Jim Tam. This is my third Subaru at this dealership and I would recommend them and Jim in particular to anyone looking for a new vehicle. Subaru’s offer excellent value for how well the cars perform. "Impressive customer service and great car"
I had a very pleasant experience shopping in Markham Subaru. When I tried out the CrossTrek, our sales representative - Tim So's service was beyond excellence. He was so patient and helpful. He spent lots of time explaining to us most of the useful features about the car when I did the test drive. He is not rushing us to make a decision at all. He spent lots and lots of time doing all the calculations to help us choose between leasing, finance or one time payment options. He tried his best effort to get a very good deal for us. He follow up the process thoroughly until I get the car. I don't know what magic he had done, anyway we got our car in our favorite color much sooner than what it supposed to be. I was really appreciate his service. My friend went with me to do the test drive has a CrossTrek too, but she did not know how to use the Google Map feature in the car and Tim was so helpful to walk her through on how to setup and use the Google Map in the car. That's really very impressed. Other then Tim, his manager and the receptionist are very friendly and helpful too. Anyway, I bought few cars before, and this is the best experience I have ever had. "Great customer service and enjoyable experience"
Markham Subaru changed my perception of car buying experience. I used to think car dealership are a bunch of crooks out there to hustle the customers. Newly hired Ollie was a tenured salesman in the industry. He has excellent product knowledge and helped me decide which trim best fit my needs. I did not felt pressure to buy at any point. He was upfront and honest about his expectations, which is something i appreciate and made me come back to him to close the deal. The GM Carlo was also very pleasant and easy to work with, and treated customer with respect. Overall, it was the best car buying experience I’ve ever had. Will definitely recommend this dealership to anyone. "Great car and great staff at Markham Subaru"
This is our fourth Subaru and we are obviously faithful customers of the Subaru brand. The service experience has always been a positive experience for us. Our salesman(Ollie) was very knowledgeable and helpful with any questions we had. We will continue bringing our Subaru Outback in for service because we believe we will get the best service possible for our new car. A huge Thank you to sales consultant Tim and the team at Markham Subaru. I recently purchased a used Subaru Impreza and could not have had a better experience. I traveled hours to find the right car for the right price and Markham Subaru exceeded my expectations. I ventured to several dealerships before landing here, trying to stay close to home, but this was worth the drive by far. Tim was able to take me on a great test drive route accomplishing everything I wanted to, and he made it so fun, it was like having gone with a friend. He was able to answer all of my questions, concerns and made the whole experience stress free. The Markham Subaru team had everything ready when promised and everyone made my experience better. I only wished I lived closer so this could be my maintenance dealership. What an amazing team that balances great service with an amazing overall experience at every stop! Thank you Markham Subaru!! "Great Team !! Markham Subaru"
I purchased a Forester this summer from Markham Subaru. Throughout from initial visit to all important follow ups they have shown great professional experience with a excellent knowledge of the products. Appreciate Carlo and Team !! 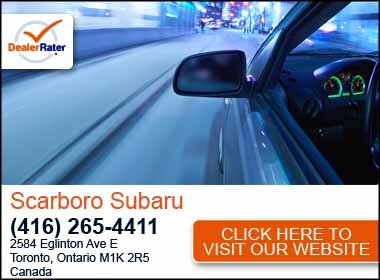 Recommending Markham Subaru !! I bought Subaru crosstrek at Markham Subaru. I had visit other dwalership, but did'nt satisfy with there. I met Roger who sales person un Markham Subaru. He is very kind and gave good deal to me. I and my wife became a big pan Markham Subaru. "Roger Chu is a very professional sale consultant"
We recently purchased a 2018 Outback Premier at this dealership, We had an excellent customer experience working with Gordon Jiang. He is very professional and thorough with his work. He did a fantastic job during the entire buying process. It was such a pleasant experience working with dealership and they surpassed our expectations! We would gladly recommend Markham Subaru to any of our friends and colleagues looking for a new vehicle.